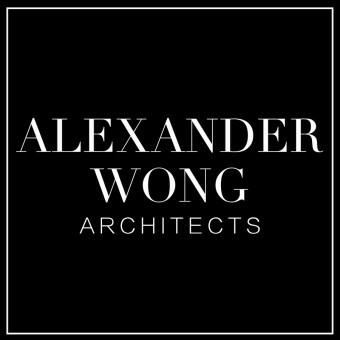 Alexander Wong Architects is an Award-Winning, Avant-Garde Architectural firm originating from Hong Kong. Since 2001, the company has evolved from a fusion office to a dynamic multi-disciplinary powerhouse consisting of visionary professionals creating fresh, young & cutting edge designs for Architecture and beyond. Presenting and combining the best of what Asia-Pacific has to offer in superior design, attention to details, professional diligence, business acumen and cost effective management, Alexander Wong Architects propels not just Architecture but also Interiors, Urban Planning, Branding and Real Estate Development, to a new level of excellence. 2016, International Property Awards 2016 - “WORLD'S BEST INTERIOR DESIGN” for Carmen Futura (at Cinema City Langham Place), London/UK. 2016, International Property Awards 2016 - “Best International Leisure Interior” for Carmen Futura (at Cinema City Langham Place), London/UK. 2016, International Property Awards 2016 - “Best Leisure Interior Asia Pacific” for Carmen Futura (at Cinema City Langham Place), London/UK. 2016, Asia Pacific Property Awards 2016 - “5 Star ★★★★★ Best Leisure Interior (Hong Kong)” for Carmen Futura (at Cinema City Langham Place), Malaysia. 2016, Asia Pacific Property Awards 2016 - “Highly Commended - Retail Interior (Hong Kong)” for SOGO CLUB (at SOGO Causeway Bay), Malaysia. 2015, International Property Awards 2015 - “Best International Interior Design Show Home” for "Golden Eye" (Henderson Land), London/UK. 2015, International Property Awards 2015 - “Best International Retail Interior” for "De RUCCI Bespoke" (De RUCCI), London/UK. 2015, International Property Awards 2015 - “Best Interior Design Show Home Asia Pacific” for "Golden Eye" (Henderson Land), London/UK. 2015, International Property Awards 2015 - “Best Retail Interior Asia Pacific” for "De RUCCI Bespoke" (De RUCCI), London/UK. 2015, Best Young Interior Designer of the Decade, Hong Kong. 2015, Hong Kong’s Most Valuable Companies Awards 2016, Hong Kong. 2015, "100 Top Architecture and Design Talents in China" of Architectural Digest (China), China. 2015, Asia Pacific Property Awards 2015 - “5 Star ★★★★★ Best Interior Design Show Home (China)” for Golden Eye (Henderson Land), Malaysia. 2015, Asia Pacific Property Awards 2015 - “5 Star ★★★★★ Best Retail Interior (Hong Kong)” for De RUCCI Bespoke (De RUCCI), Malaysia. 2015, Asia Pacific Property Awards 2015 - “Highly Commended - Leisure Interior (China)” for Cinema Futura (Lai Sun Group), Malaysia. 2014, Hong Kong’s Most Valuable Companies Awards 2015, Hong Kong. 2013, "100 Top Architecture and Design Talents in China" of Architectural Digest (China), China. 2010, USA 2010 International Design Awards - Interior Design Silver Award (Commercial) Shenzhen UA KK Mall, Shenzhen, China, USA. 2009, Selected in China Construction Expert Subject Stamp Album under The Framework of CEPA, China. 2007, Ten Outstanding Designer Award 2007, Hong Kong. 2007, Merit Award: International Architectural Design Competition for The Hong Kong Design Institute, Top 5 Finalist out of 162 International Teams & the only Finalist from China / HK, Hong Kong. 2006, HKICT (Hong Kong Information and Communications Technology) Award, Hong Kong. 2005, HKIA Award for Members' Work Outside of Hong Kong : Kingship Marine Headquarters, Zhongshan, China, Hong Kong. 2004, HKIA 20:21 Emerging Hong Kong Architects Award, Hong Kong. 2002, Perspective Magazine's Perspective Plus - Top Five Interior Award : Jehle House, Hong Kong, Hong Kong.